Listen, we all know that the morning can bring nothing but hitting that snooze button again and again just to jump out of bed with only enough time to put one leg through a pair of pants while chugging down a cup of coffee. Too relatable? Yeah, it is for us, too. Having a morning routine is actually psychologically important for making the rest of your day run smoothly. How you set the tone first thing in the morning is, give or take, how the rest of your day will flow. Now wouldn’t you want a more balanced and positive day just by allowing yourself some time in the morning to let that happen? Uh, sign us up! Now before we dive in, look at the word “routine” not as a “gotta get up early check list” but more so as creating your own lifestyle for your days! Studies have shown that the average adult needs to sleep for around 8 hours in order to achieve a healthy lifestyle and mindset. Although sometimes we feel as if when we sleep for only 4 hours we have more energy, it’s the same feeling for when you get a sugar high. It might feel like you have a lot of energy now, but you’ll have a crash later. Studies have proven people who get up on their first alarm (rather than hitting snooze a couple dozen times!) have more productive and energetic days. To help tempt you from clicking your lock button, open your blinds when your first alarm goes off. Typically, the sun will already be up and will pour its light into your room. It’ll help motivate you to get out of bed to get that sunshine out of your eyes! We know that daylight savings makes this a little hard to accomplish at times, but maybe plan a few days during the week to make time to watch the sunrise (if applicable.) It will make you appreciate the little things and hey, what can beat a beautiful sunrise? Adjusting your eyes from being shut for hours immediately to a blaring LED screen can really cause some destruction. Once your eyes are adjusted after a couple of minutes, then go ahead and check! Before anything else enters your body, make sure you get a drink of water first. Think of it as the oil of a car engine, without it, things just don’t run as smoothly! If you’re not a big water drinker, try adding cucumber and lemon to add flavor and benefits! Even though wanting to reach for that coffee pot is instinctual, just a cup of water beforehand is sufficient! If you caught our newsletter about getting your life together, you’ll remember we talked about a book written by Admiral William McRaven that centers around how making your bed first thing in the morning can literally change the way you do things. The premise is to show that making sure you do one simple task every morning, it creates a habit and that can translate into every sphere of your life! If you’re not about breaking too much of a sweat, try meditating or yoga. Sometimes yoga gets intense, but trying some simple yet effective apps will get the job done. Try apps like Headspace for meditation and Daily Yoga for easy, everyday moves that even strangers to meditation and yoga can do. If you live with a roommate(s) or a significant other, take some time in the morning to make a cup of coffee for y’all and talk about the day ahead or recap on the night prior! It’s a great way to build up your relationships plus getting human interaction first thing in the morning helps engage your brain muscles before you get to work! What is better than physically looking at all the great things happening in your life? Writing out what you’re thankful for in your life can really put things into perspective and change your whole look on not just your day, but life! Plan out Your To-Do List & Eat the Frog! Wait - what? Make a to-do list for your day, maybe even your week and check on it every morning. So what did we mean by eat the frog? Tackle the biggest/scariest/hardest task first, so that the rest of your list doesn’t look too tough! What else is better than just hanging out in silence? Take this time to just hang out in your thoughts or make mental notes for later. Or if you’re spiritual, say your morning prayers or thank the universe for a new day. Being a mom is probably one of the most busiest jobs on this Earth. Try to take some time to bond with your kiddo(s) during breakfast. If they’re younger, give them a craft to do or a coloring book. This will help stimulate their minds as they start the days! As dog moms ourselves, we take our pups to the park every morning before work! It helps get their energy out while we work during the day while also being a great way to bond with them plus their getting some socialization! Are you just like Jonathan Van Ness and have to make sure your face is moisturized for the gods, honey? What about that bed-head of yours? Get your jush on and get that mane tamed! This seems like a no-brainer, but sometimes we just forget! Try to avoid sugar-filled things so that you don’t crash before your lunch break! Did you know that our subconscious picks up on background noise? As you get ready for your day, play an interesting podcast! Maybe it’ll help brainstorm some ideas while at work. If you’re getting up and rushing to get out the door, your day is going to feel a little off the entire time. I mean we all know that feeling! But if you account for enough time in your day, you can 100% be able to casually stroll your way out the door and oh no! There’s a red light! Who cares? You created enough time in your morning to deal with anything! Save time, energy, and money! (And possibly calories!) Pack a lunch for the afternoon rather than driving around getting fast food. Making dinner plans or planning out to make for dinner will save time trying to figure out something while you’re starving. The last thing someone wants to do after work is some annoying chore. So while you have the energy to do it, do the dishes, vacuum, fold the laundry, spiffy up the place - just little things that will go a long way for your future self! No one’s routine is perfect and maybe Obama’s routine won’t fit your typical morning. (Does having a 2,000 calorie blasting cardio workout before breakfast sound like something you want to do? Well maybe it is, we won’t judge. ;) But keep a level head and don’t pressure yourself in becoming a morning person if you’re not. Working a little bit day by day will help create a daily routine that will eventually fit for you. Trial and error is your best friend in all of this. Trying your best already shows that you’re looking for improvement, so keep at it! Do you have a regular morning routine? Let us know in the comments! We’re always looking for new ideas! Guess what time of year it is?! December is in full swing and the days are already flying by. But…. You don’t have everyone on your gift list accounted for yet. OOPS. Well, never fear, girlfriend, because we’re here to help you find something perfect for that special someone or even own girl gang! We featured gifts for everyone on your list created by female-owned businesses! Put away those heart eyes for just a second and focus, babe! What has he been hinting at for the last few months? Are they Rangers tickets? What about a new IPA that he’s been telling all his bros about? Stacking rings are such a cute trend right now! And what is better than having a sweet memento of your lady crew? You can get a few of these on Esty and even customize them to fit y’alls personalities or a slogan you have! Your gal gang not into jewelry? That’s fine, too! Keeping their own styles in mind, a monogramed journal or a bottle of her favorite wine (hey, if you’re on the nice list she just might share some with you!) will always be a homerun with your besties. Need any extra push to tell your boss you need that Christmas bonus? Kidding! But if you look at her as more than “just a boss” then she deserves a sweet gift, too. Coffee and coffee accessories are always a good call. I mean just channel Michael Scott and get a “World’s Best Boss” coffee mug! Some of her favorite freshly ground coffee would be such a #blessing in her busy life, too! Is she more of a function over everything kind of woman? Get her some trendy organizing essentials from Target - a fun gift without having to break the bank! Roomies are the ladies who have dealt with your messes all year, and sometimes even your dog’s, so she deserves something that’ll give her some relaxation! Her fav scented candle, a bubble bath set, or even a new cookbook that her Food Network idol wrote would all be great ideas to allow for some down-time for your best, patient roommate. Ok, so let’s be honest. Any gift for your dog is really just a gift for you to adore them even more. Getting a matching pajama set with them would be SO adorable - and not to mention hella Insta-worthy. Check out the brand Pajamagram! Glam up their everyday wardrobe with some sparkles on the collar or jacket, or if he’s too manly for that, man it up with some name brand athletic wear (Adidogs)! Happy spring, boss babe. Have you done your spring cleaning yet? I cleaned out and organized my whole office and it feels so GOOD! Now that I have gone through everything I have and got rid of the things that I don't use or don't need, I have a much better idea of what I do need for a successful and productive spring! 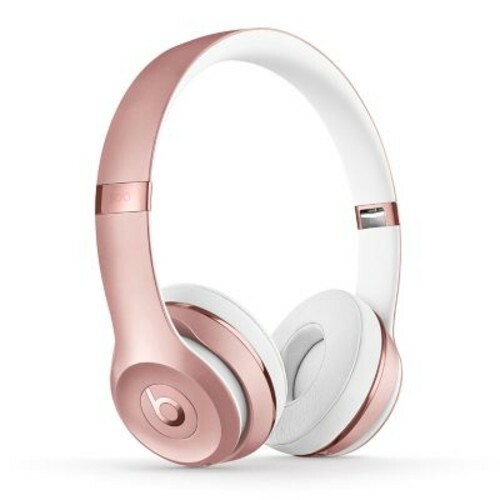 I was sold as soon as I saw "rose gold" but these headphones really are lifesavers. They are comfortable enough to wear everyday and I can use them to take calls which is way better than holding my phone to my ear (#lazy). The battery life is long enough that you don't have to worry about constantly charging them. The on-ear controls allow you to control your music and activate Siri without going to your phone! I cannot even begin to tell you now often I lose track of time while working from home. Unless I have Siri reminding me of meetings that I have scheduled, I can get lost in work for hours without having any idea how long it has been. When JORD watches reached out to me about trying and reviewing their watches, I figured it was a sign that it’s time to start wearing an actual watch. I chose the CORA series zebrawood and turquoise watch. This unique watch has sapphire crystal glass with swarovski crystal markers. The wood makes for a light, comfortable watch that doesn't pinch your wrists! And I am in love with the gold accents. I went with turquoise because I think it is so fun for spring, but this watch also comes in rose gold and rosé! P.S. I have teamed up with JORD to give one of you a $100 giftcard to their entire site! Even if you don't win, you'll get a 10% off code just for entering. ENTER HERE! 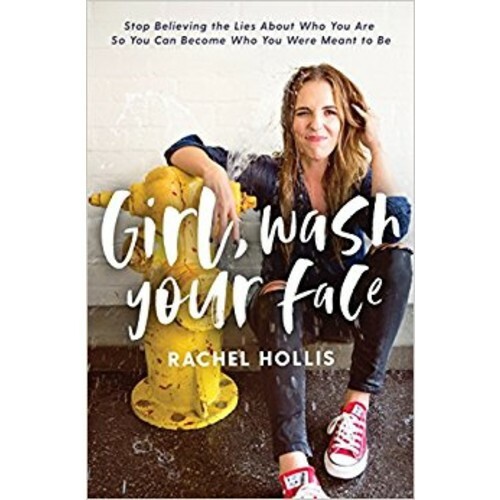 Rachel Hollis' new book, Girl, Wash Your Face: Stop Believing the Lies About Who You Are so You Can Become Who You Were Meant to Be is a MUST READ ASAP, like, stop reading this blog post and go read it ASAP. Rachel is the founder of TheChicSite.com and the CEO of her own media company, Chic Media. She has built an amazing tribe of hundreds of thousands of girls who want to live a better life. She shares the messiness of her own life and is just so relatable which has been the key to her success. Her book will open your eyes to your own limiting beliefs and mind-sets that have been preventing you from moving forward and living your best life. I actually listened to the audiobook (I am always multi-tasking...ooops). Audible by Amazon is great for audiobooks and when you sign up you get one free credit for an audiobook - use that for Girl, Wash Your Face! Summer is in the near future. If you have been slacking off with your health over the winter, now is the time to get your sh*t together. The easiest way to start is by getting a cute waterbottle that you will want to carry with you everywhere! Added bonus: add a few drops of lemon essential oil to your water for some flavor! It is almost April - if you have not been planning out your days, it is time to get started! I am big on organizing my days so I have a physical planner that I use to write down my daily tasks and events. After I write them down, I add them to my calendar app on my phone so that Siri can remind me if anything slips my mind! What are you excited about this spring? Let us know below!